The Sacrament of Reconciliation is a healing Sacrament where God’s love overshadows and transforms our sin. The grace of Christ is present and gives life where there once was sin. Like the thief on the cross we admit our sin and Jesus gives us life eternal by His sacrifice. The Church asks that a Catholic Christian celebrate the Sacrament at least once a year. Frequent Confession builds a life of grace and love, where sin can be avoided. Even habitual and damaging sin that enslave us can be overcome with God’s help through the Sacrament. These wonderful effects are for the person to be united freely to God and spill out into our lives to those closest to them like family and friends and the greater community. 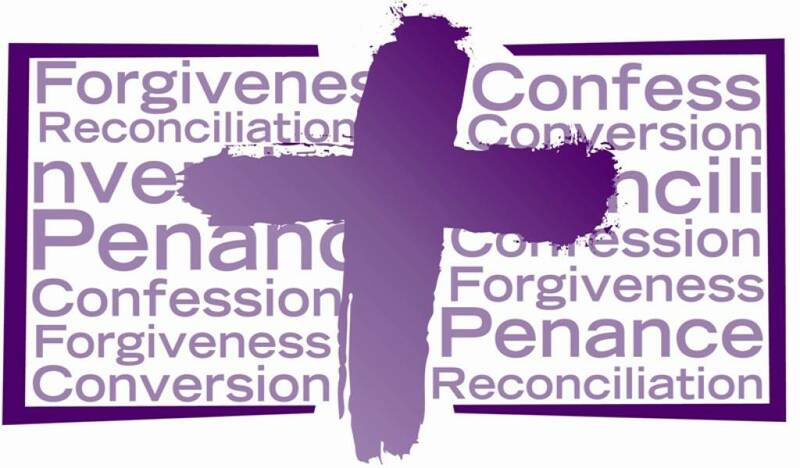 Reconciliation is available Saturdays at 3:30pm on those Saturdays on which Fr. Tim is scheduled to celebrate Mass (see our bulletin) and by appointment. Contact Fr. Tim for a private appointment. The Sacrament celebrated for the first time is at the age of reason and before receiving First Holy Communion. The Parish provides preparation sessions for parents and children to help children enter into the Sacramental life that was begun at Baptism. This is especially important to establish the habit of faith and life that God greatly desires to gift us with. The Sacrament of Reconciliation like all Sacraments are a “yes” to God’s divine life, but the grace and gift of Reconciliation is healing to be in communion with God and to say “no” to the sin that harms our friendship with God, others and ourselves. Parents with children at the age of reason are encouraged to contact Dave Braun, Director of Christian Formation for more information, schedules of the process and resources for preparation.